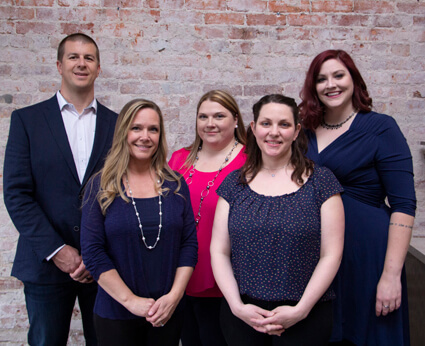 Our entire team wants to guide you to a natural way of looking at your health as well as ways to treat your immediate health challenges. Our team will design the best strategy for you to increase your health and well-being, putting you on a lifelong path to wellness. We hope to inspire, guide, and educate our community to live a happier and healthier life through chiropractic and wellness education. When you know the truth about your body, you’ll understand that you have the power to heal from within. Our beautifully remodeled office provides a comfortable, relaxed atmosphere where our phenomenal staff is ready and excited to help. Together, we hope to make Compass Chiropractic & Wellness a fun place to work on a healthier and happier you. Dr. Joel and Dr. Sarah take extreme pride in Compass Chiropractic & Wellness, aiming to educate patients day in and day out. They know that the practice will continue to grow as they’re able to help Stevens Point (and surrounding area) residents who are seeking care to feel better and get real results. The practice’s “whole body” education has led several of Dr. Joel’s and Dr. Sarah’s patients to become chiropractors themselves; something they both see as a highlight in their careers. Learn more about our practice when you book your first visit with us. To schedule an appointment, contact us today. We look forward to seeing you soon!